Overused as it might be during the 2016 election, music in political ads is powerful and here to stay. The proper soundtrack can transform a dry 30-second commercial into a convincing emotional argument. In volatile races with millions of undecided voters, it’s just another tool campaigners are using to nudge voters to their side. 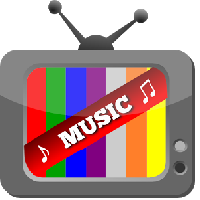 Used properly, ad music should set an overarching tone that attempts to sway a viewer’s opinion. Consider, for example, the music in the ads “Batting” — in favor of Sen. Kelly Ayotte (R-N.H.)— and “Senator Kelly Ayotte: At Bat for the Gun Lobby,” which is against her. The first ad — pro-Ayotte — shows the candidate slugging baseballs with a smile on her face as she speaks about bravely fighting a political machine. Ayotte’s voice is accompanied by a cheery whistling tune which serves to build a positive image of her as a happy, graft-busting, personable politician. The second ad — anti-Ayotte — shows a similar clip of her hitting baseballs, but a female voiceover speaks harshly about Ayotte’s repeated votes against the closure of a gun loophole. This time a dark melody plays in the background, producing a decidedly negative image of Ayotte. The lesson is clear: music helps define message. A few political advertisements have musically distinguished themselves by using tonal shifts — effectively playing multiple jingles during one video. Shifting tones allows an advertisement to color opinions on one subject in one way, while coloring opinions on another subject in a clearly contrasting way. “Work Hard,” an ad released in September by senatorial candidate Pat Toomey (R-P.A.) exemplifies the effects of tonal shifts. The ad begins with Toomey speaking about the middle class while an upbeat jingle casts a kind light on his words. After 10 seconds, the music suddenly changes to a mysterious, eerie dirge as Toomey’s opponent, Katie McGinty (D-P.A. ), appears on the screen. The progression is jarring; McGinty’s candidacy is made to look creepy and strange because of the quick musical change. That shock factor is what candidates want, said Benjamin Schoening, associate professor of music at the University of North Georgia, in an email interview. “Tonal shift is used to change audience mood… to reset [them] emotionally in[to] the correct frame of mind,” he added. A second ad, “Leadership,” employs the tonal shift tactic more subtly with the same effect. The advertisement, which laments the supposed failure of Democratic foreign policy and the resulting rise of terrorism, begins with a monologue by former mayor Rudy Giuliani. As Giuliani discusses the faults of President Obama and Democratic nominee Hillary Clinton, a cello-dominated orchestra plays a low-toned dark theme. As he slowly transitions to speaking about Republican nominee Donald Trump, the cello section fades out and is gradually replaced by a stronger, higher-pitched and more positively themed violin section. The two Democrats are ultimately associated with darkness and danger while Trump is associated with light and hope. The musical deployment is slight but powerful. It may not win an election, but it doesn’t have to. It’s just one small instrument in the grand orchestra of a campaign.